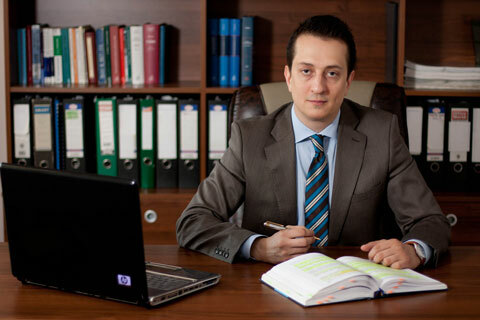 I am the coordinator of the attorney practice, member of the Bacau Bar since 2000, barrister and consulting lawyer, being entitled to make submissions before all national courts (district courts, country courts, courts of appeal, the High Court of Cassation and Justice). Since establishment until the present I have accumulated a vast professional experience, mainly in the field of insurance law. Our attorney practice provides prompt consultancy, assistance and legal representation, both in court as well as in prosecutor’s offices within the competence area of Bacau Court of Appeal, the neighbouring courts of appeal (Iasi Court of Appeal, Suceava Court of Appeal, Brasov Court of Appeal, Galati Court of Appeal) but also before the courts and prosecutor’s offices in Bucharest. At the same time, we have a rich experience in the field of ECHR complaints, our attorney practice providing legal assistance during the entire proceedings before the European Court of Human Rights, both for the drafting of necessary documents, as well as for supporting the oral hearings when they are convened, in any of the official languages of the Court. The main concern which guides the activity of our attorney practice is to provide with maximum promptitude and efficiency practical solutions for our clients, however without the rapidity of the response affecting the quality of the legal service. We constantly have a series of collaborations with other individual attorney practices and professional societies of attorneys, both from Romania, as well as foreign, so that we can respond with expedience to any professional exigencies requested by our clients. Raluca is one of the most deserving graduates of the class of 2009 of the Faculty of Law within the University in Bucharest. 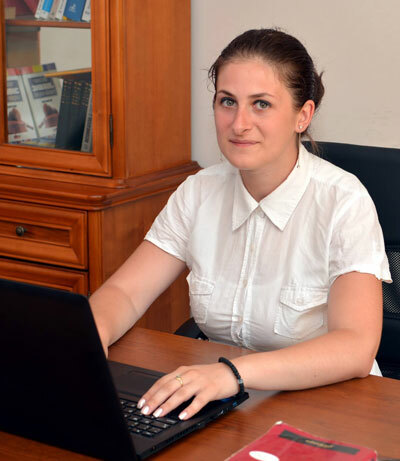 She has been a member of Bacau Bar since 2010, obtaining the highest national average grade at the admission exam to the lawyer’s profession. Raluca acquired professional experience within some of the largest law firms in Romania, being specialized in commercial law and procurement. Fluently spoken foreign language: English, German and Spanish. In terms of professional training, Raluca Voinigescu graduated the Faculty of Law within “Alexandru Ioan Cuza” University in Iasi in 2012, and in September 2013 she passed the admission exam to the lawyer’s profession. She joined our attorney practice in April 2014 in capacity of collaborator attorney. 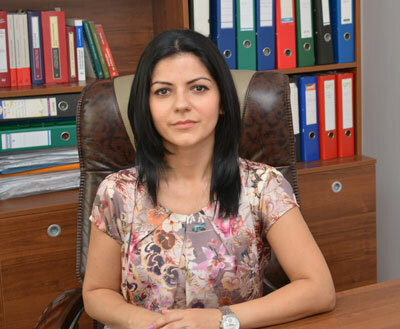 In July 2014 she has completed her master’s studies in the field of „European Law” by presenting her dissertation paper “Mediator of the European Union”. The theoretical knowledge accumulated during her study years were completed and enhanced by the conducting of internships during college, internships done right here within our attorney practice. With this occasion Raluca acquired practical experience and new knowledge, especially in the field of criminal law and in matters of European Union law. Most often you will find within our attorney practice young students who are in an internship program with us. We are constantly looking for the ones who share our values and principles and who would like to specialize within our attorney practice. If you think you have the required training and enthusiasm, and if you wish to join our team, we invite you to send us your CV and a letter of intent at the following email address: cabinet [at] avocatpocovnicu.ro. We will put at your disposal our entire experience and passion in order to develop your career in a truly high-performance environment.